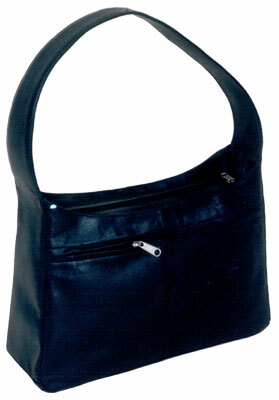 Description : Finished cow leather designed ladies handbag having a zip compartment and an inside pocket with another zip. There is a joint running through the centre of the bag and has a zip pocket on the back of the bag. The handle has a drop of 29 cm. The model can be made in different types of leathers like Cow Polished, Cow Nappa, Cow Vegetable, Buff Resin, Buff Glazed, Buff Vegetable and Cow Softy.